Is there anything sadder than a derelict library? 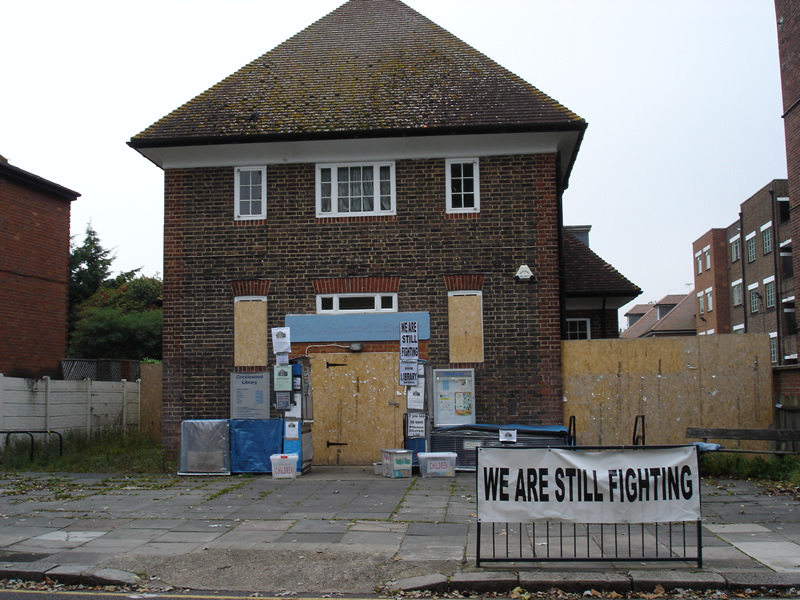 Cricklewood library has lost its fight against closure (click here to read more) and is to be sold to developers, and it would seem that Kensal Rise library (below) is set to go the same way. Such a crying shame. 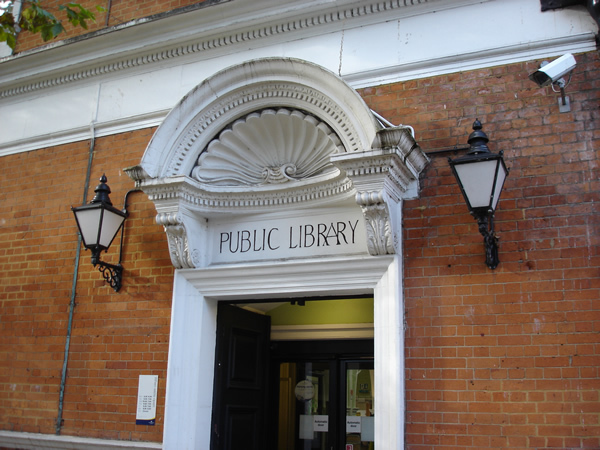 I’ve never visited Cricklewood library, but I spent many long hours in Kensal Rise library when I was little; the children’s section was upstairs, and I have very fond memories of climbing up the winding stairs to this magical place full of books which I could help myself to. That’s all from me for this week’s word! She also smokes like a chimney. Her whereabouts can be determined by asking the tobacconists, or simply finding a huge cloud of cigarette smoke and heading toward the middle of it. Efforts to dissuade her from smoking are generally futile and any long time without a cigarette is likely to put her in quite a bad and, for the people around her, dangerous mood. I’ve no real idea of how many I smoked a day – partly because I smoke roll ups rather than regular cigarettes, and partly because roll ups go out if you’re not puffing away constantly, so half-smoked fags were a permanent feature of the ashtrays in our house because I’d leave one on there then forget and light a new one rather than the old one. It’s probably fair to say that I’d light anywhere from 20-30 roll ups a day, but it’s anyone’s guess as to how many were actually smoked down to the filter! When my dad died, of lung cancer, I said I would give up smoking… but, let’s face it, grief is stressful and although I had a bash at stopping it didn’t go very well. In September, very randomly, I decided to try again. It had crossed my mind once or twice this year but I was prompted to make a more definite decision when I was at Queens Park Day and saw a stall advertising Stoptober. The stall was being manned by staff from the local pharmacy (who have known me since I was a kid) so I had a chat with them and agreed to pop in and see them about smoking cessation. I was true to my word and went to see them the following day (before I could change my mind! 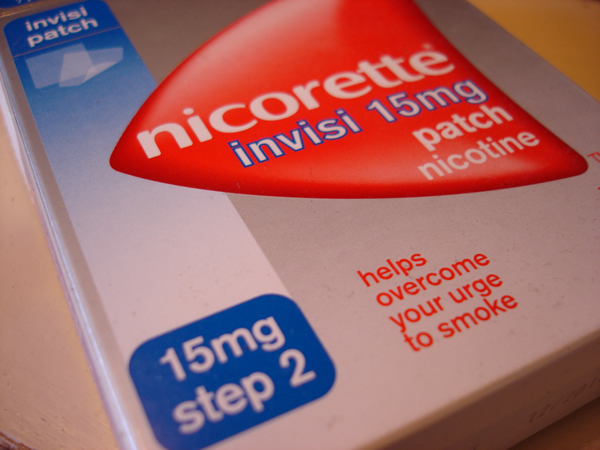 ), and they kitted me out with some Nicorette patches and a Quickmist Mouthspray. I started using the patches with no problems, but the Quickmist was a disaster – it tasted so bad that the first thing I did after using it was have a cigarette to get rid of the taste! The patches were good though and I happily whacked one on every morning. I wasn’t aiming to stop straight away, I wanted to cut down a bit before stopping on 1st October. I went back to the pharmacist again the following Monday and was given another pack of patches and, after telling them how unsuccessful the Quickmist had been, an Inhalator. The inhalator was fine in terms of taste, but it made my throat sore so I didn’t persevere with that either. During this second week of cutting down my asthma flared up and I ended up having to get an emergency prescription for inhalers as I’d not used one in over a year and couldn’t find any in the house. On 1st October I stopped smoking… and by 2nd October my asthma had got so bad that I had to go to the doctor as my inhalers weren’t making any difference; he prescribed some steroid tablets and told me to take a few days off until my body sorted itself out. Miserable doesn’t even come close to describing how I felt, and being off sick when you’re self-employed means you don’t get paid, so that’s an additional kick in the teeth when you’re already feeling rubbish! My chest was finally back to some semblance of normality by the 6th and I went to work that weekend… and then by the evening of the 7th my glands had swollen up, my throat was tender and hurt when I swallowed, and I’d come down with a temperature. I was not a happy bunny. Since then my asthma has woken me up around about 2 or 3am every day. I generally manage to get back to sleep after about half an hour of coughing, wheezing, and frantically sucking on my inhaler, but it’s not exactly restful. I am exhausted. Giving up smoking is supposed to be good for your health and your bank balance, but my health has been woeful and I’ve had to have so much time off sick I’m almost in the red. So, am I still a non-smoker? I think yes. I’ll put my hands up and say that I’ve smoked a little bit, but I’m not going to beat myself up over it. I actually stopped using the patches on 29th September because I didn’t want to end up hooked on NRT (Nicotine Replacement Therapy) instead of tobacco, and I think I’ve done marvellously without them. I read that Allen Carr book in the run up to 1st October and it was actually very helpful even if I have allowed myself to smoke a wee bit, which goes against the point of the book but hey it’s working for me and I’m not trying to kill people. If I have a cigarette or two a couple of times a week then I really am not going to guilt-trip myself for it – at the moment it’s actually very helpful… what no-one tells you is that another delightful side effect of giving up smoking is constipation, and frankly I can’t cope with that on top of everything else at the moment so if the odd ciggie helps keep things moving then so be it. I’m working on increasing fibre intake and all that jazz so hopefully my digestive system will start to move along at a more regular pace on its own, but for now I’m happy to give it a helping hand! Carmen over at Tails of a Biomouse is our host for this week and chose cessation for this week’s word, so don’t forget to pop along to her blog later to find out who else is playing. Taking inspiration from Sally, who tagged me, I picked space because it’s a word with multiple meanings, and I thought it would be interesting to see what interpretations everyone came up with. Of course, sod’s law being what it is, I then couldn’t think what to make of it myself! So I’m afraid it’s a bit of a dull one from me. My studio is quite small, and because I insist on cramming so much stuff in there space is at a premium and every so often (particularly when I’ve been accumulating tat faster than I can use it up) I have to stop, evaluate everything, and then have a tidy. 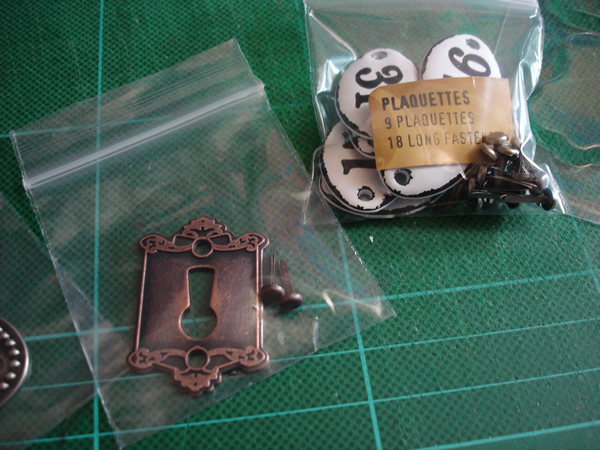 Where possible I’ve removed the components from their packaging and popped them into tiny ziplock bags, keeping the little fasteners for each item together. They’ve all since been shoved into a glass jar with some other hardware. 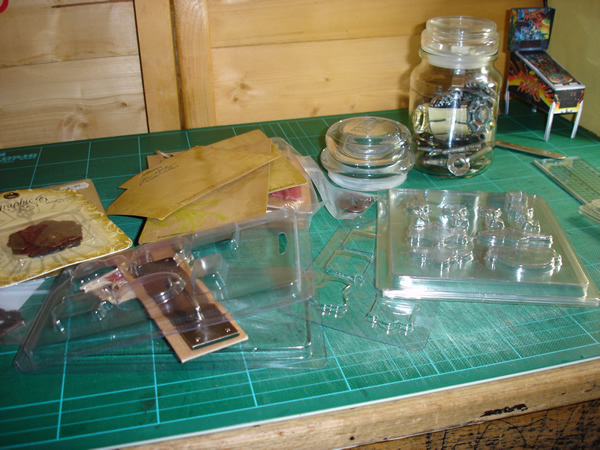 I’ve not been able to do it for all the hardware I’ve got (some things are just too big to fit into the jar), and other things were left in their packaging as they didn’t take up much room in the pigeonhole where they live. I have freed up a lot of space in that pigeonhole though, and will carry on tidying today to see if I can re-jig things to free up more space. This tidying has the extra benefit of reminding me what I’ve actually got stashed away, so hopefully I’ll find some inspiration while I’m at it! Thanks for visiting, and please do go and see what our other Weekworders have got for us this week. I’m tagging Carmen over at Tails of a Biomouse to choose the next word, pop over to her blog on Monday to see what she’s picked. 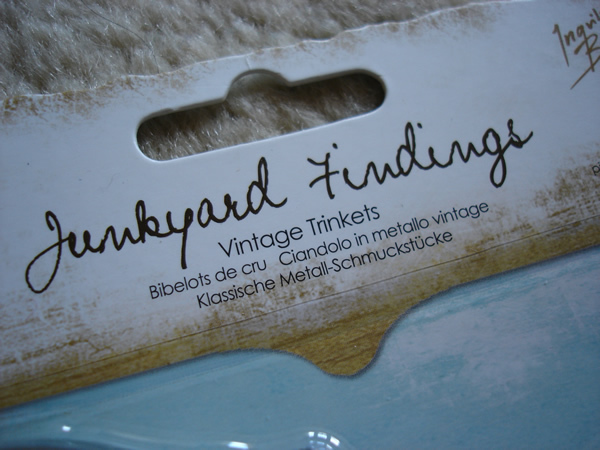 Sally over at Sow & Sew has sneakily tagged me to choose this week’s word. Post here and leave a comment if you’re taking part this week, and on Friday I’ll post my own interpretation of the word together with a list of all the other participants. I’ve not participated in Weekword since August, which is quite a long break for me but I was struggling to get my entries up on time so I thought it was best to take a break. 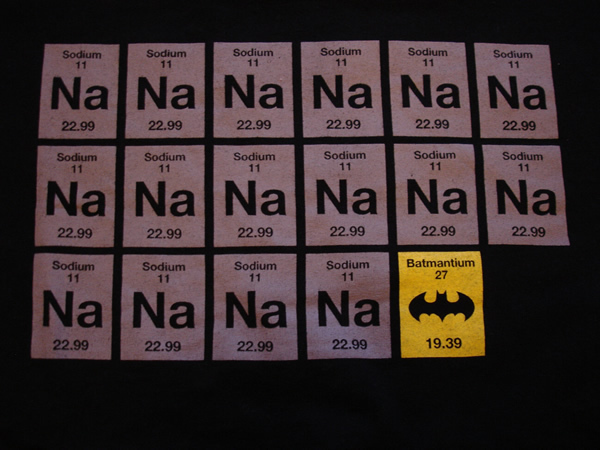 Sally over at Sow & Sew is hosting this week and chose the word element, which tempted me back. So here I am, posting on time, but not entirely sure what to post about! I’m late with my Weekword post (again…), so apologies to Jen over at Timballoo who’s our host this week. Click here to visit her post and see who else is taking part. 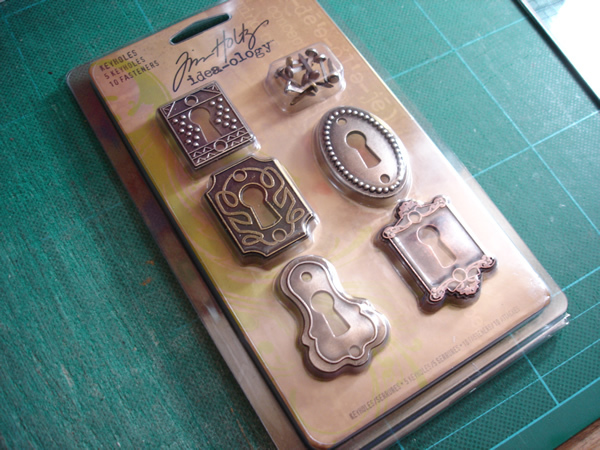 I take inspiration from pretty much everywhere, but if I’m feeling a bit stuck then a browse through my various bits and bobs usually does the trick (considering my bits and bobs include everything from 19th Century mortgage deeds to teeny tiny tap faucets and miniature door furniture) – or, failing that, a browse on my favourite craft supplies site. 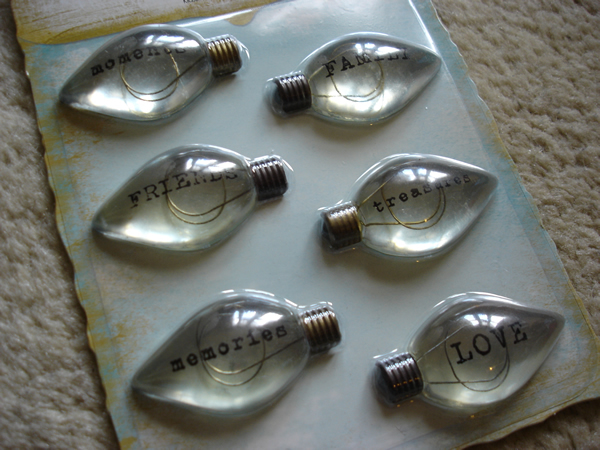 Yup, little lightbulbs! 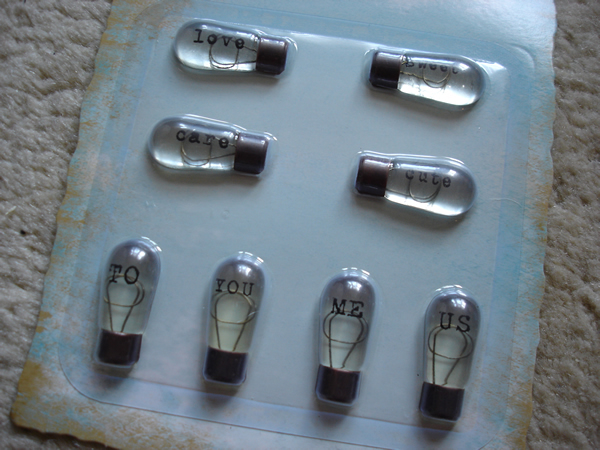 I’ve seen lightbulbs for scrapbooking before, but they’ve all been round ones which, let’s face it, aren’t easy to fix to a notebook cover. These have flat backs so they should be perfect. 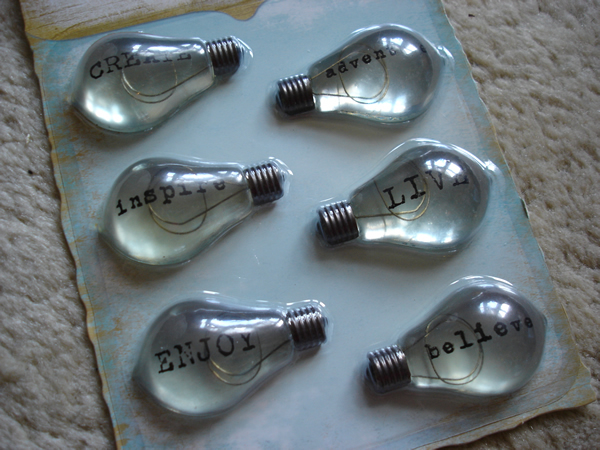 I’m already inspired and hopefully will use some of these in my studio this coming week. I’m very, very late with my Weekword submission, but better late than never! Water has been on my mind quite a lot recently, and all in quite a dull work-related way. 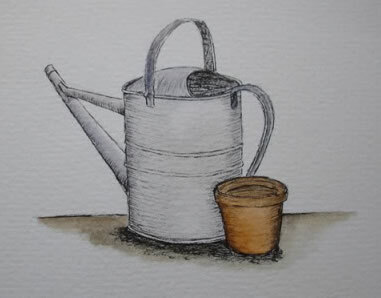 I’ve had troublesome irrigation systems, irrigation experts not turning up for appointments, and now I’m going to have three clients away on holiday at the same time, which means a fair amount of evening visits to ensure pots are watered. It’s almost enough to make me miss the incessant rain. Almost. Peggy over at Peggy Fussell Illustration is our host this week, go and visit her blog to find out who else is Weekwording.